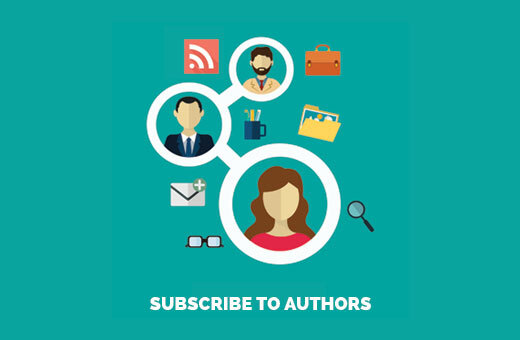 Have you ever wanted to allow users to subscribe to specific authors in WordPress? If you run a multi-author WordPress site, then your users may want to subscribe to their favorite author. 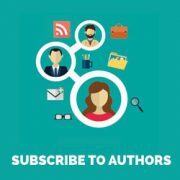 In this article, we will show you how to allow users to subscribe to individual authors in WordPress. Most large multi-author blogs like Huffington Post allow users to follow their favorite authors. 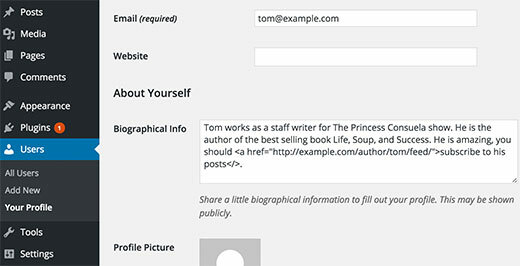 You can offer this feature in your multi-author WordPress site as well. WordPress generates RSS feeds for all authors, categories, tags, custom post types, and comments on your site. However, your users can’t see these feeds link without knowing where to look. As a site owner, you just need to add links and subscription options so that users can subscribe to authors. Having said that, let’s take a look at how to allow users to easily subscribe to authors in WordPress. 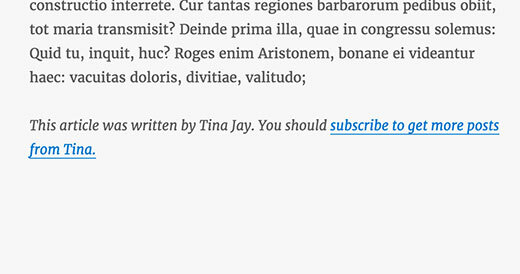 Don’t forget to replace ‘tom’ with an existing author’s name on your site. We will be using the shortcode method we showed above to display a subscribe to author link in the sidebar of your WordPress blog. Simply go to Appearance » Widgets page and add a text widget to your sidebar. You need to install and activate the Display Widgets plugin. For more details, see our step by step guide on how to install a WordPress plugin. Upon activation, you need to visit the Widgets page and edit the author’s feed widget you added earlier. You will notice new options to control widget display on different pages of your site. Now you need to select ‘Show on checked pages’, and then check the single post option. That’s all you can now visit your website to see your author subscription link in action. You can use a little CSS to create a button, or add an image icon as the subscription. We hope this article helped you learn how to allow users to subscribe to authors in WordPress. You may also want to see our guide on how to fix most common RSS feed errors in WordPress. It’s possible to send a notification via email when a author make a post ? Thank you dear, You are great. I visit your website regularly from google search result regarding my problems. You helped me alot. Dear I have a little problem please solve it. I want to add guest post page into my wordpress website. What should i give role to the article writer. Author or Writer ?